Adding an exhaust system to the Ford S550 will increase its power by allowing the exhaust air to flow more freely. 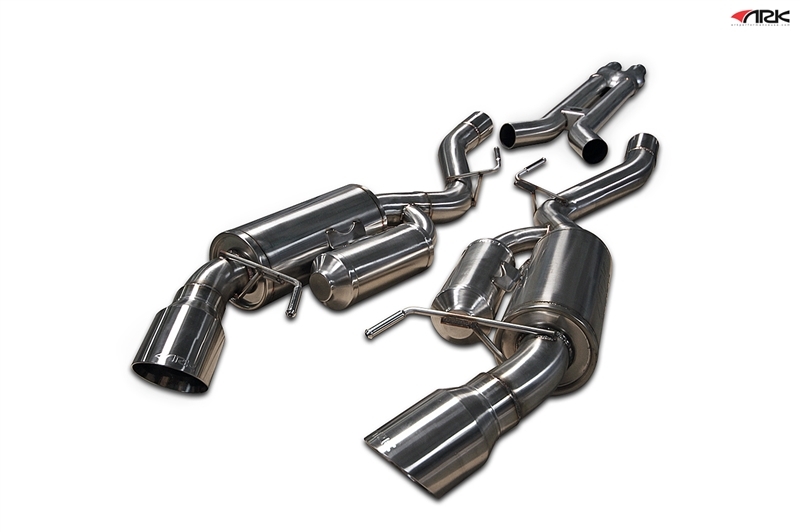 The ARK GRiP Exhaust System for Ford S550 is made with top-quality in mind. With this catback exhaust from ARK Performance, you are ensured that you are getting maximum power and an exhaust system that is both durable and lightweight on the Ford S550. You will see power gains up you will feel at the wheels after installing the ARK GRiP Exhaust System for Ford S550. The ARK catback exhaust for S550 is made with 3.0" diameter, mirror-polished stainless steel with dual polished exhaust tips. The ARK GRiP Exhaust System for Ford S550 is tuned to have an 93db cruising level exhaust volume to maintain daily driving comfort and to stay within the 95db exhaust volume limit. The S550 exhaust from ARK Performance is dyno tuned and tested to ensure you are getting the best quality exhaust available.